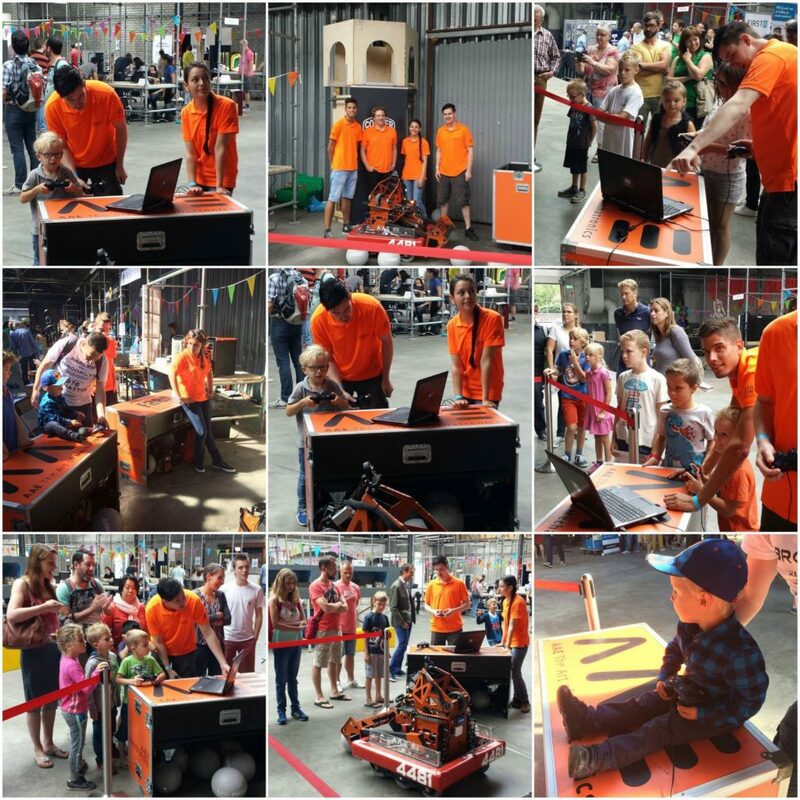 Last weekend we attended the Eindhoven Maker Faire together with our partner Cooler Master. The Mini Maker Faire is a smaller version of the Maker Faire which is the biggest show and tell event in the world. The weekend was all about inventions, creativity and ingenuity shown by makers and artists themselves. Here we met up with a lot of makers and introduced everyone to FIRST and everything we do. We are proud that we could show the robot of last year’s FRC game and were able to get the nearly 2,000 visitors in touch with the world of engineering as we are able to see and experience it. Also for our new students this was their first Team Rembrandts event and they enjoyed it very well!